Ensuring your sustainability and transformation plans are both delivered and validated. How will VISTA transform both prescribing and clinical practice. The 2018 priorities for patient safety from NHS Improvement. workload through automation and effective practice team utilisation. The power of population health management. The importance of effective medication use reviews. QUIZ - Testing your knowledge on best practice prescribing. Evening Meal & CCG Prescribing Awards. Why is it needed and what will it deliver? SCHOLAR - New NHS accreditation for Eclipse allows your CCG to help identify true clinical best practice. Diabetes500 - How Pharmacists can directly lead on the delivery of excellence in long term healthcare. What do GPs want from innovative prescribing solutions? Can medication risk stratification genuinely predict the likelihood of admission? Dr. Julian Brown is a General Practitioner in West Norfolk and founder of Eclipse Solutions. His web-based systems now protect more than 10 million patients. He has been a GP for 18 years and has had a special interest in diabetes since 2006. He was the GP Prescribing Lead for Norfolk from 2008-2013 and the Long Term Conditions Lead for West Norfolk CCG from 2013-2015. He is considered one of the leading experts on admission avoidance systems and is researching the improvement of outcomes through automated patient feedback best practice identification and patient self-mamangement plans. He is passionate about optimising health economics through IT and has launched a suite of web-based systems. David Garrett gained a pharmacy degree in Queensland Australia and a masters in hospital pharmacy. Specialising in Health Education and Substance abuse he gained a Doctorate and moved to the University of Derby where he specialised in educational applications of computing and multimedia, becoming the head of e-Learning. He worked for seven years as Head of Pharmacy and Professor of Pharmacy Practice at the University of Derby then moved to Sheffield Hallam as Professor of Pharmacy and Hull Universities where he developed infrastructures and curricula for Schools of Pharmacy. For seven years he was an accreditor for the RPSGB now the General Pharmaceutical Council. Since 2009 he has worked as the Senior Pharmacist in patient safety at the NPSA, NHS Commission Board and latterly at NHS England. 11 pharmacy practice papers with original research, seven oral research presentations, 34 conference presentations, workshops and seminars, three as keynote speaker and six as director plus multiple posters, articles, book chapters, invited attendances and reviews. Stephen is a Medical Director for Optum where he is also the Senior Quality and Clinical Governance Office. Stephen has been a GP in South Oxfordshire for 28 years. He has more than fifteen years experience working in commissioning having been Oxfordshire's PEC Chair, the first PCT Medical Director and first CEO of Oxfordshire CCG. He was the lead for prescribing for more than 10 years. Stephen has also worked as a Regional GP advisor for London for the CQC for two years at the same time as working as a clinical associate for KPMG before joining Optum in 2015. Stephen makes itermittent contribuitions to the work of the NHS Leadership Academy and has contributed to publications by the Health Foundation and Nuffield trust relating to change at scale within the NHS. Senior Clinical Lecturer Exeter University. David Strain blends academic and clinical expertise in diabetes. He is Diabetes and Care of the Elderly Consultant at the Royal Devon & Exeter Hospital and Senior Lecturer at the Peninsula Medical School. He attained his MD from the International Centre for Cardiovasular Health, Imperial College London on “The ethnic difference in the effects of insulin resistance on the vasculature”. Asim has extensive experience in managing multi-site independent pharmacies and national chains, and creating quality systems and processes. He has created innovative technological solutions for a number of pharmacies to increase productivity. He has successfully bid for new pharmacy contracts on behalf of clients. He and his wider team are currently working with multiple CCGs and are collaborating with Prescribing Services Ltd to enhance effective delivery of patient care. 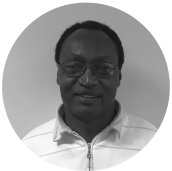 Dr August Temu is the Lead Clinician and Community Lead for the Health Amplifier Kikavu Project. Here he is working with Dr Julian Brown in transforming healthcare outcomes in rural Tanzania. He started as a Clinical Officer in 1981, following which he undertook Paramedical training and qualified from Kilimanjiro Medical College in 1991 as a Doctor. Since then August has implemented a variety of innovative Projects, was the Head of the Tanzanian Refugee Health Program in Kigoma, Regional Health Delegate for Southern Africa and worked as a health co-ordinator in dafur sudan during the Civil War. He is currently the regional Chairman of the Red Cross in Kilimanjiro. A West Norfolk CCG Project Manager, Shawn is responsible for optimising the use of Eclipse throughout the region. Helping to develop the systems capabilities and drive integration across the local health economy.